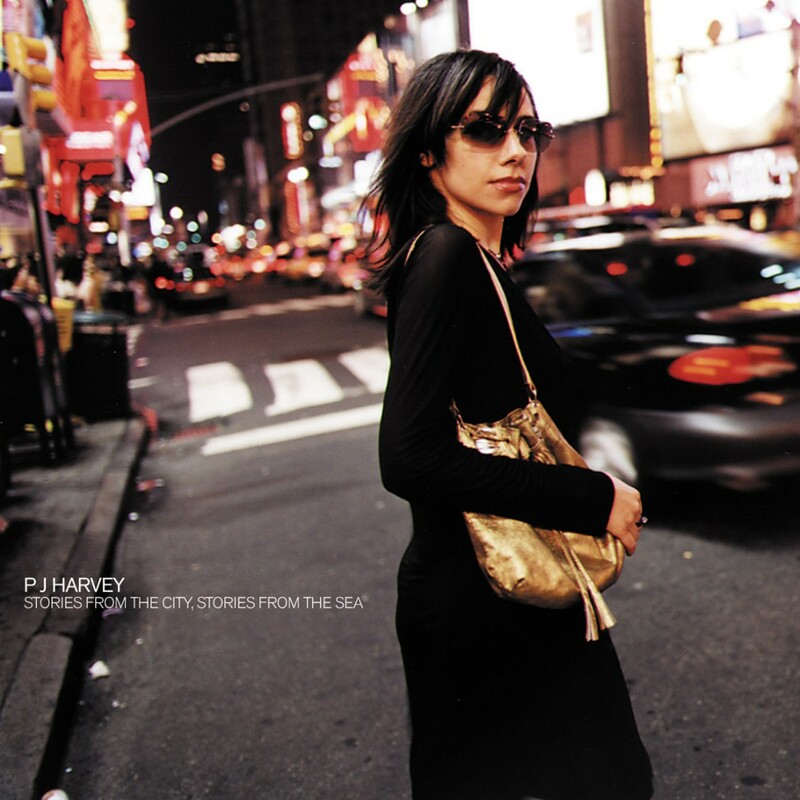 Stories From The City, Stories From The Sea, the sixth PJ Harvey album was released worldwide on October 23rd. The much-anticipated follow-up to 1998’s Is This Desire? features 12 original tracks all written by PJ Harvey. The album, produced & performed by P J Harvey, Rob Ellis & Mick Harvey, was recorded by Head in Great Linford Manor in March/April 2000 and mixed by Victor Van Vugt at The Fallout Shelter in May 2000. Much of the record was written in, and influenced by, Harvey’s six month stay in New York during 1999 and sees a return to the energetic style of Harvey’s earlier releases. From its first incarnation, PJ Harvey commanded attention. Polly Jean Harvey formed the bass / drums / guitar trio in 1991 in Somerset and by autumn they had released their debut single, Dress, on indie label Too Pure. With a second single, Sheela-Na-Gig in February 1992, PJ Harvey had begun an impressive critical climb, which set the stage for a highly anticipated album release the following month. Dry was hailed as an astonishing debut, not just in the UK but worldwide and especially in the United States where it earned places in album of the year charts from New York Times, The Village Voice and Rolling Stone which named Harvey Best Songwriter and Best New Female Singer. In 1993, PJ Harvey signed to Island Records and began work on a follow up album. The band went into the studio with Steve Albini in Minneapolis and the resulting album, Rid Of Me, was released in early ’93. With the album supported by a lengthy world tour, drawing increasingly wider audiences. However, by the end of the tour, Polly made the decision to dissolve the original trio and explore working with other musicians. She introduced her solo career with 4-Track Demos in the autumn of 1993, which comprised of 14 songs, a mixture of unreleased material and demos for Rid Of Me. To Bring You My Love followed in 1995, an eclectic and starkly original album on which, as well as vocals, Harvey played guitar, vibes, percussion and all keyboards. She enlisted a variety of musicians to play on this album, including John Parish (who co-produced along with Flood and Harvey), former Captain Beefheart sideman Eric Drew Feldman and Joe Gore, known for his work with Tom Waits. The tour which followed saw Harvey adopt a theatrical edge to her live performance. She was nominated for the Mercury Music Prize and two Grammys, received ‘1995 Artist Of The Year’ awards from Rolling Stone and Spin and gained album of the year acknowledgements across the board. Harvey then spent time working on a variety of collaborations, including Dance Hall At Louse Point where her words accompanied the music of John Parish for both an album and live accompaniment to the Mark Bruce Dance Company production of the same name. She also made contributions to records by Pascal Comelade (‘Green Eyes’ and ‘Love Too Soon’), Nick Cave (‘Henry Lee’ – Murder Ballads) and Tricky (‘Broken Homes’ – Angels With Dirty Faces). Recording her fifth album, Is This Desire? 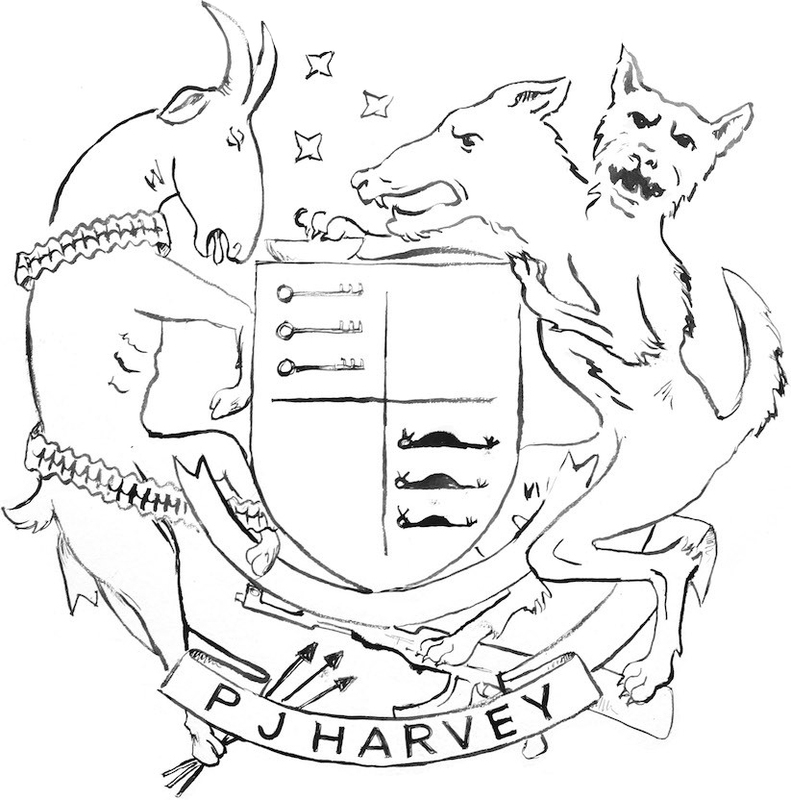 in London and Dorset, Harvey again teamed up with Parish, Gore and Feldman, as well as Mick Harvey from the Bad Seeds and Rob Ellis from the original PJ Harvey line-up. It was released in September ’98 and featured 12 new tracks. Once again, it attracted plaudits on both sides of the Atlantic as Harvey received her third Grammy and Brit Award nominations and became the first artist to be nominated three times for the Mercury Music Prize. She continues to work on extracurricular projects and has made contributions to film soundtracks including reinterpretations of standards Is That All There Is? for Basquiat and Nickel Under The Foot for the Tim Robbins’ movie Cradle Will Rock. She also scored the soundtrack to Stella Does Tricks with Nick Bicat. In addition to her musical career, Polly Jean Harvey made her acting debut as Mary Magdalene in the Hal Hartley movie The Book Of Life, has featured in films by English director, Sara Miles, has exhibited sculpture in galleries across the country and has had poetry published.